These two teams played each-other in their season opener at Oct 9, a game that the Rangers won 3-2. I expect more goals tonight, New York is likely to struggle on defense missing defenders Ryan McDonagh, Dan Boyle and John Moore, plus rest its #1 netminder Henrik Lundquist. Cam Talbot will take place between the pipes instead, making his second start of the season. His first was not particularly impressive, the 27 year old conceded four goals on 23 shots in a 5-2 loss to Columbus on Oct 11. 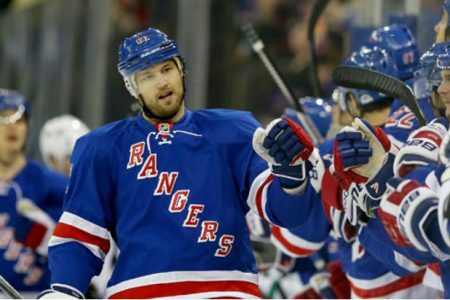 The Rangers do however have offensive firepower in Rick Nash who is second in the league with his nine goals (two fewer than Corey Perry who has played three games more). They are averaging 31.3 shots per game and have scored 26 goals over their first 10 games.